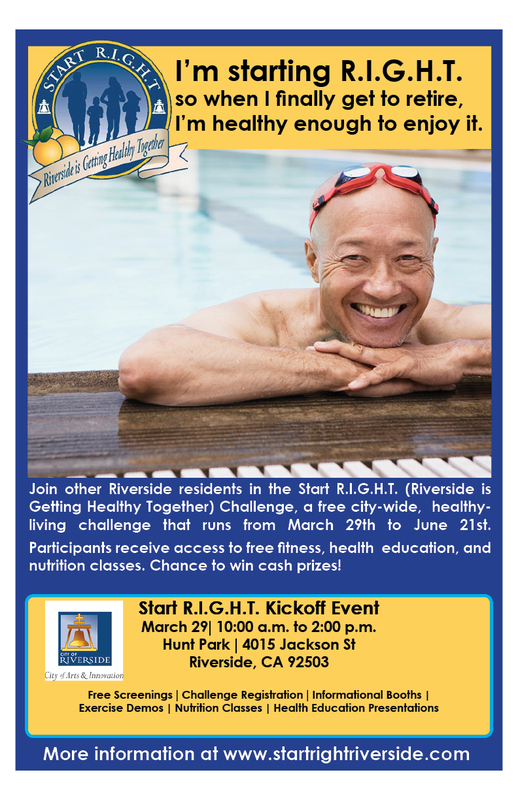 Start RIGHT – Start R.I.G.H.T. Did you know the Start R.I.G.H.T. 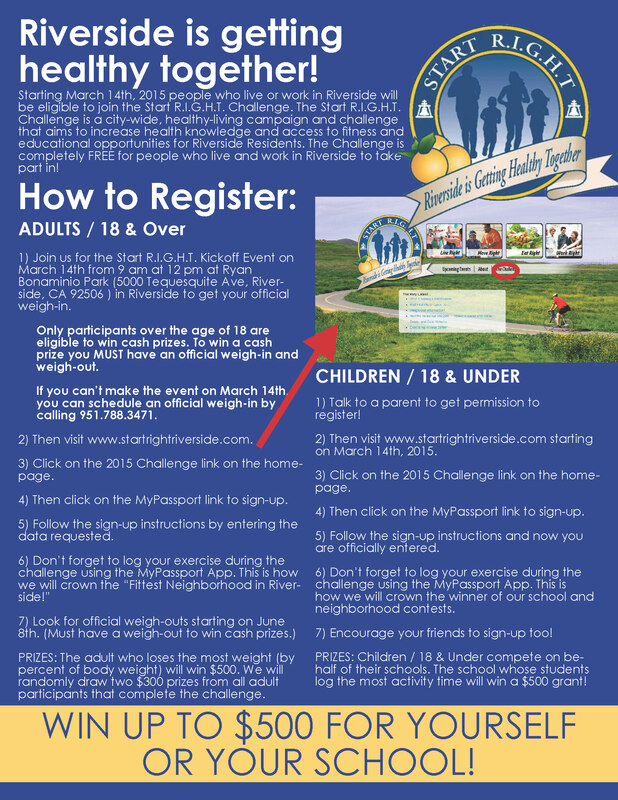 Challenge offers three monetary prizes for our winners! 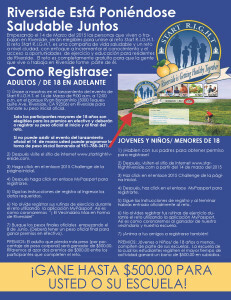 If you weren’t able to compete last year, make sure to sign – up this year. The Challenge will be going through some changes to better meet the needs of the community and participants. 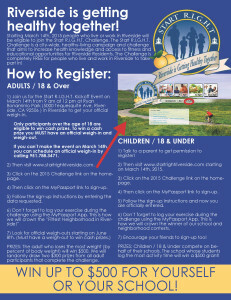 The best way to stay up-to-date on the Challenge is to sign up for our E-Mail Newsletter/Updates. To be added to our e-mail list to receive challenge updates and information, please sign-up here. Help Spread the Word — the Riverside County Department of Public Health offers FREE asthma services to children and seniors.